Every year during this off-season, the Red Sparks team organizes hockey class sessions. 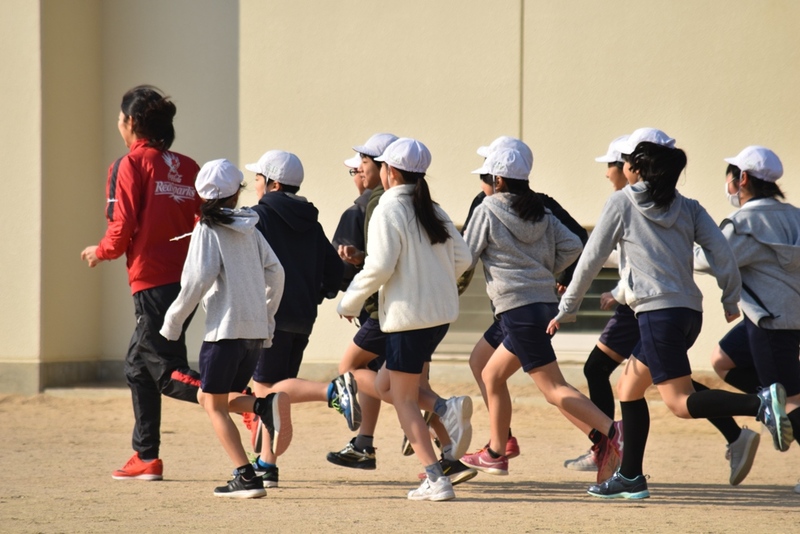 This year, we visited four elementary schools in Hiroshima city and one in Hatsukaichi city. Almost all the children in the five schools were first-time hockey players, so we began with some facts about the sport then moved on to practice! The children seemed to be having some trouble at first, but they quickly learned the ropes, and we were surprised at how well they could play in the end. The best part was hearing them comment about how fun it was! We hope we can find more opportunities like this to interact with the people of the community. Thank you to everyone in all the schools we visited!